All Pedestrian Access Systems include a 5 year warranty. Pedestrian access solutions are designed to restrict or control pedestrian access to a building or area. The two most common reasons for installing these kinds of security systems are to limit access to only those who have the appropriate permissions, or to optimize the flow of people - particularly at strongly visited sites. 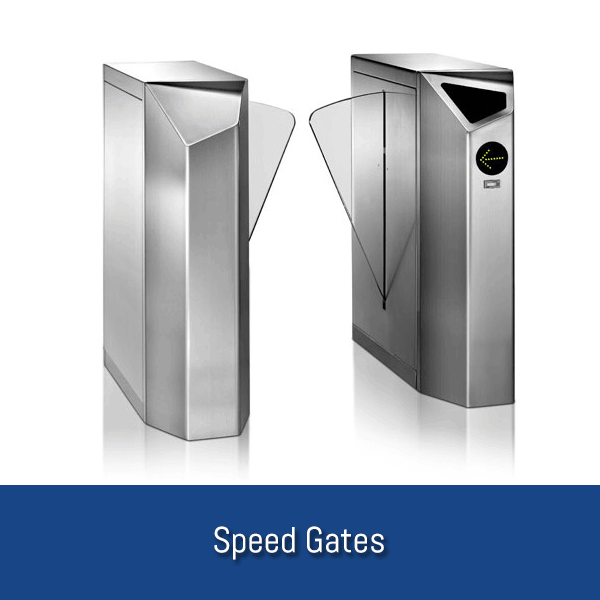 Whether you are looking for a sleek, stylish speed gate for the entrance way to your office building or require full height turnstiles for the entrance to a stadium or complex we have the knowledge required to find the perfect system for you. 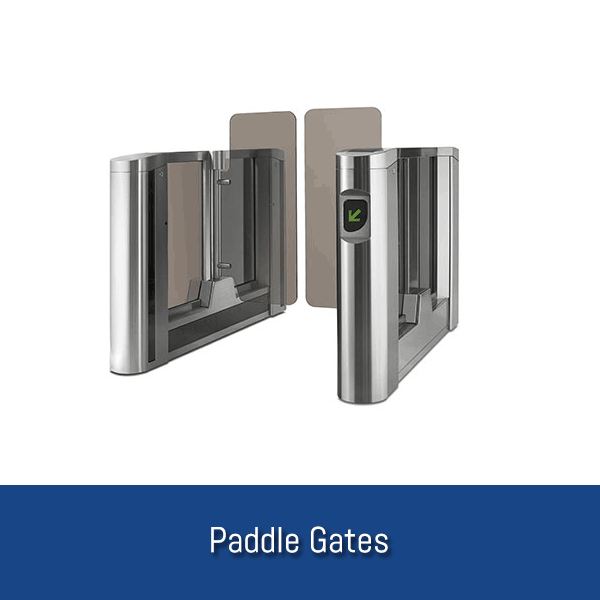 If you are thinking of installing turnstiles, speed gates or paddle gates at the entry and/or exit of your building then you will need to consider a range of different aspects to ensure that you end up with the right solution for your needs. If you select an inefficient pedestrian control system then unfortunately you may end up needing to replace or remove it altogether, which is a costly and unnecessary process. So what can you do to ensure this doesn't happen? Here's our tips. What to Consider Before Installing Turnstiles or Gates? 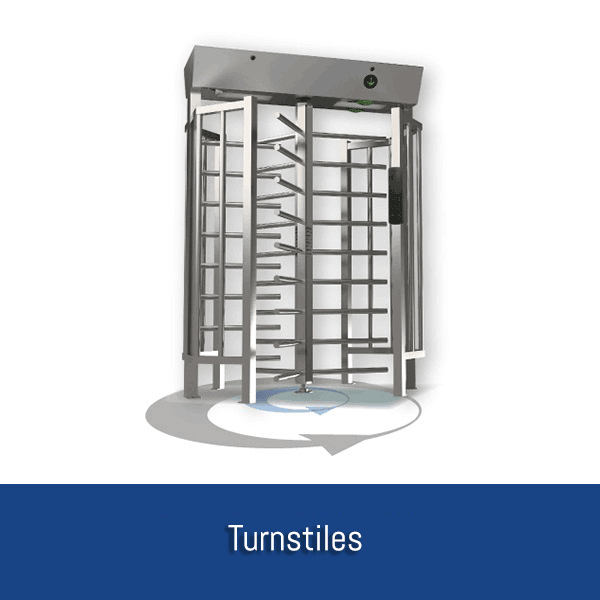 Initially when you decide that you want to install a turnstile or gate system your attention will most likely be on the security, aesthetics and cost involved. However you should also consider some other areas which are often overlooked, resulting in a poor choice of pedestrian control system. Before you decide upon an entrance solution it is beneficial to examine the throughput requirements. At your entrance's busiest time how many people are attempting to leave or enter simultaneously? Does your entrance require access for deliveries and how will you accommodate wheelchair users? It is particularly important to examine this area if you are thinking of adding an access control system (such as a card reader) within your turnstile or speed gate system. "Card stacking" can improve the flow of pedestrians into your building and limit queues forming as each individual does not needs to wait for the barrier to close before using it themselves. 2. WHAT HAPPENS WHEN THE SYSTEM NEEDS SERVICED? Whilst in an ideal world your automatic gates will never break down or require any maintenance work, realistically it is much more likely that during their lifespan they will require parts replaced or fixed. If one of your gates was to go out of service what implication would this have on your pedestrian flow? You should consider the negative impact of having to wait on parts or repair work to be finished and what contingency plan is in place for this eventuality. 3. HOW DOES THE SYSTEM RESPOND TO ENTRAPMENT OR EVACUATION? Most security systems will use a barrier of some kind to prevent or control people entering your building. It is important to consider how these systems work in the case of an emergency, such as entrapment or evacuation. How does the system respond in such situations and does this have implications on your security requirements? 4. HOW USER-FRIENDLY IS THE SYSTEM? Another area you will want to think about is how user friendly the system is. Will the system require a bit of training for staff and will an operative need to be present near the system to help people who are having difficulties. Is your reception located close enough for a secretary or member of security to do this or would you need more personnel present? 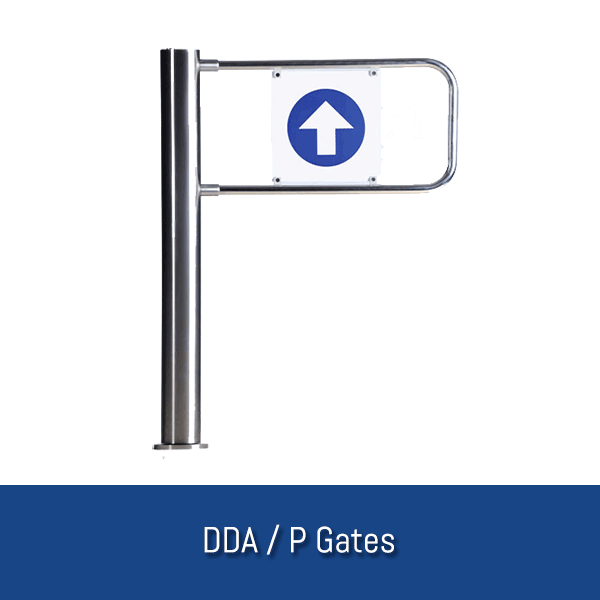 Why Choose Ursa Gates to Install Gates at Your Premises? The team at Ursa Gates have over 25 years’ experience in the installation of automated vehicle and pedestrian access systems. We have installed turnstiles and gates at a range of commercial properties and public areas and understand the implication of each. If you would like some advice about which system will be best for you or to get a quote contact us 0800 566 8174 or drop us an email sales@ursagates.co.uk. Our team are here to help. or call us on 0800 566 8174.